One of the many beautiful counties in England, Somerset has something to offer for all tastes in travel. 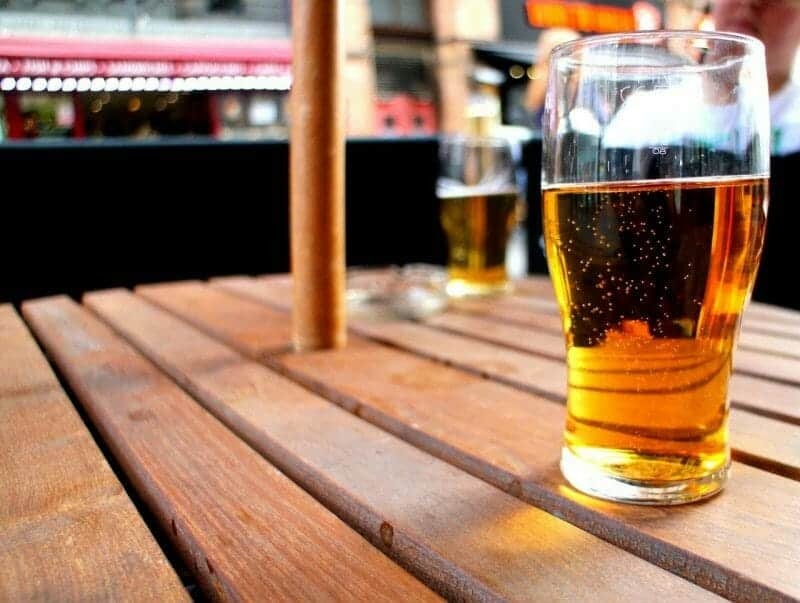 The first ‘sight’ isn’t actually a place, but a drink. Somerset is famous for its cider – fermented apple juice – and the county is full of cider apple orchards and pubs serving the local brew. If you do get a chance to sample some, the real local experience is ‘scrumpy’ a powerful cloudy type’of cider – just don’t have too much! Wells may be the smallest city in England, but it certainly packs a punch, making it an ideal place for a day trip or short stay. This medieval city can easily be explored on foot and has much to offer in the way of architectural history. 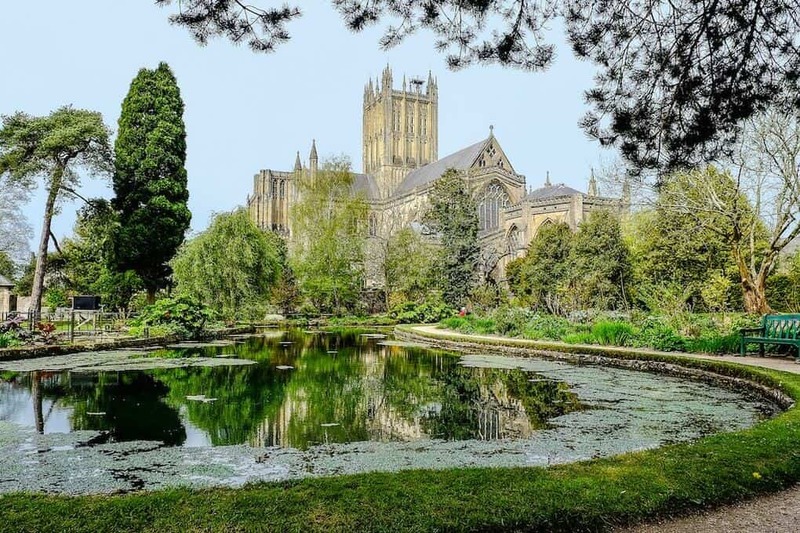 Wells Cathedral, dating from the 13th century, is a marvel of Gothic architecture and has been featured in many films and period dramas, such as BBC’s Poldark. Entry to the Cathedral is by donation and free tours are available for those wishing to learn more about the building’s history. The city comes alive for market days, which take place every Wednesday and Saturday; ideal for picking up some local produce such as cheese or cider. 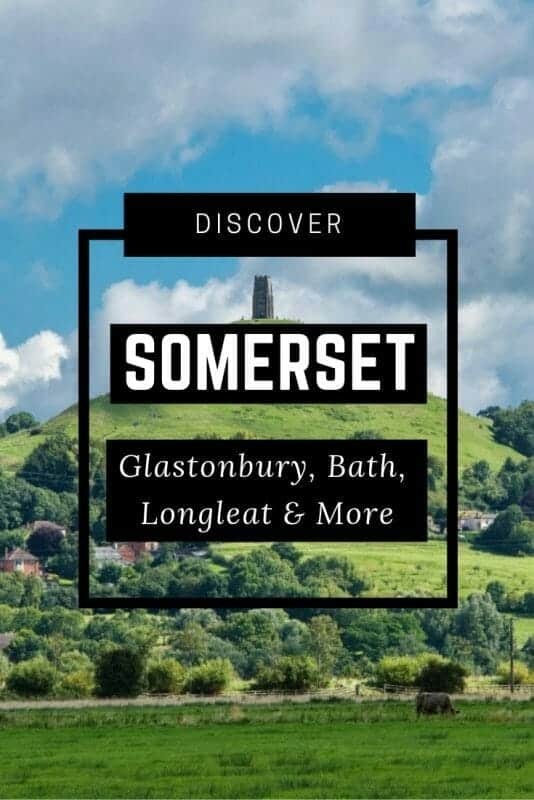 Situated on the Somerset Levels, Glastonbury is a town shrouded in history, myth, and legend. The town itself is quaint and picturesque, with many listed buildings, such as the Pilgrim’s Inn built in the 15th century. Glastonbury has unique spiritual ties, with many New Age travellers making a pilgrimage to this mystical site. Visit in the summer or winter solstice for a truly magical experience. The Tor, just outside the town itself, offers incredible views of the surrounding area. 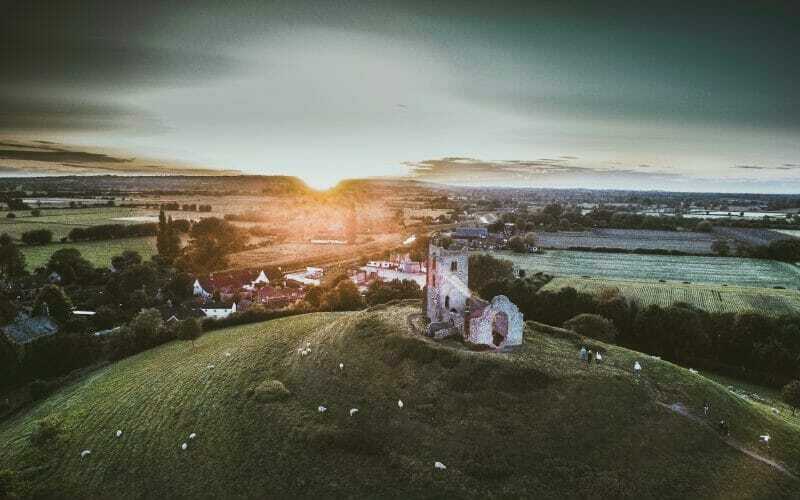 Rising some 500ft above the Somerset Levels, the hill is topped by a tower of a ruined 15th-century church. 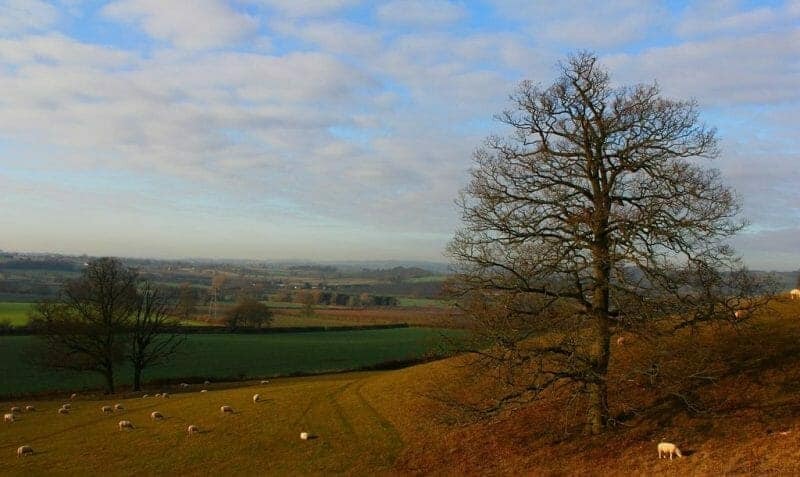 From the summit you can see north to Wells, the Mendips, and the Bristol Channel; east to Shepton Mallet and Wiltshire; south to the Polden Hills, west to the Quantocks and Exmoor. 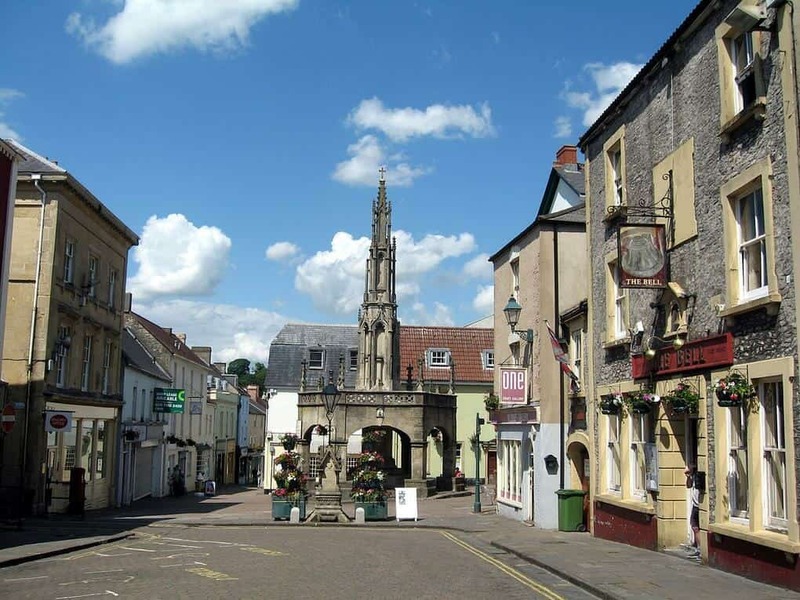 Perhaps less widely known that its neighbouring towns, Frome boasts all the history of a Somerset town but without the hefty tourist footfall. Winding streets and boutique businesses give the town an authentic feel. The historic marketplace comes to life every weekend, with local farmers pitching up to flog the best local produce Somerset has to offer. The Cheese and Grain is the hub of social life, playing host to world-class music acts and regular food and drink festivals. Just a short car journey away from this charming town is Farleigh Hungerford, where visitors will find a historic castle to explore and great spots for wild swimming in the hot summer months. This picturesque Somerset village is so special that celebrities from across the globe have bought property here, from actor Nicholas Cage to designer Alice Temperley. Aside from trying to spot those famous faces, Bruton has a lot to offer for the day visitor, with vintage shops, bars, and restaurants a-plenty. International art gallery Hauser & Wirth opened its Bruton site in 2004 and has been hosting exhibitions by some of the most significant contemporary artists ever since. With indoor galleries, outdoor sculpture garden, boutique accommodation and a gastronomic restaurant, it is the perfect destination for art and food lovers alike. 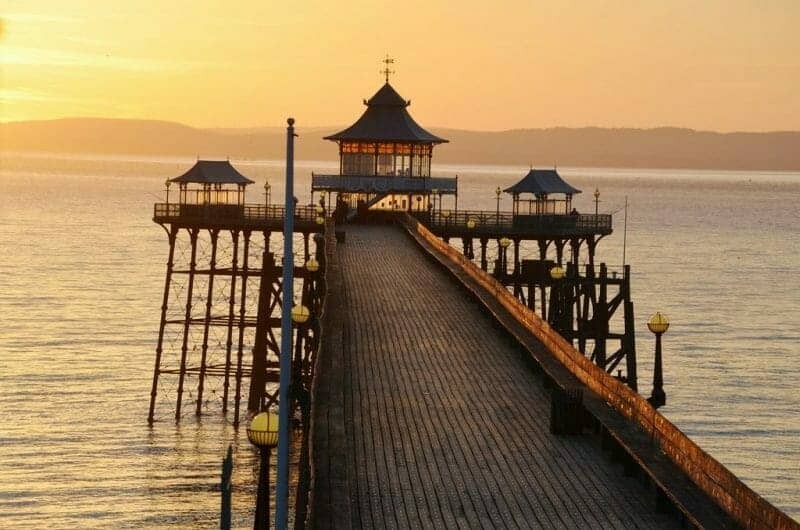 Overlooking the Severn estuary, the Victorian seaside town of Clevedon boasts a pebbled beach and Grade 1 listed pier. Perfect for a leisurely stroll and a breath of sea air, the pier has a cafe at its end which is a unique setting to indulge in a cream tea. Film fans should not miss out on a trip to the Curzon, the oldest operating purpose-built cinema in the world. With art-deco interior and Edwardian tea room, guided tours are available for those with a special interest in the history of the cinema itself. If a trip back in time is not to your taste, the cinema also shows the latest blockbuster films. 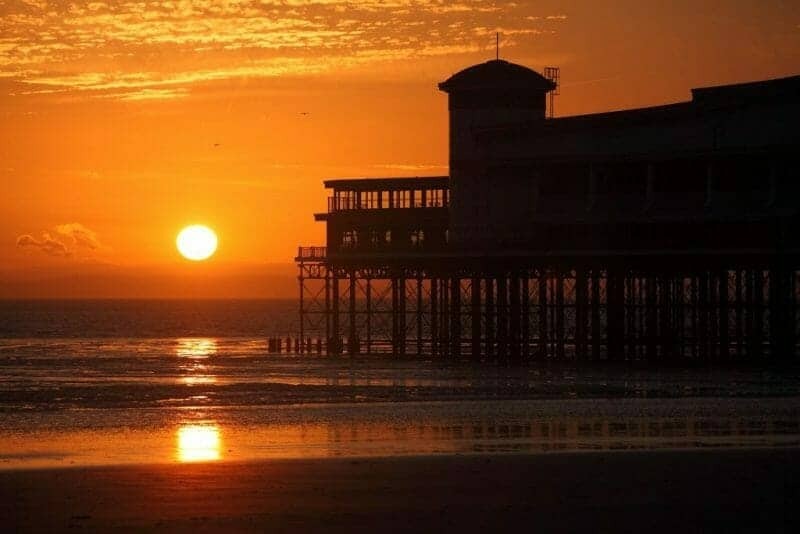 Weston-super-mare is the perfect destination for a family seaside experience. With miles of flat sandy beaches and views all the way to Wales, Weston Bay is perfect for children and adults alike. Take a donkey ride along the beach, play a round of mini golf, or try your luck in the arcades. With fish and chips galore, treat yourself to the quintessential British seaside stay. If the weather isn’t on your side, there are also plenty of indoor attractions to visit, such as Seaquarium (yes – a sea aquarium) and the Grand Pier, home to an indoor theme-park for the little ones and an Edwardian-style tearoom for the less energetic. 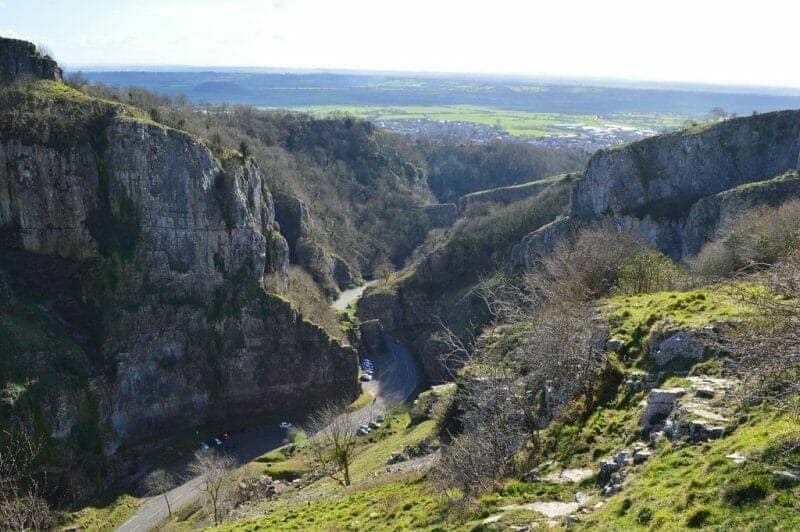 Situated in the Mendip Hills, Cheddar is home to the stunning natural wonder that is the Cheddar Gorge, a limestone ravine some 137 m (449 ft) deep. A site of significant geological interest and breathtaking beauty, the Gorge also offers fantastic climbing potential for the more adventurous. The village of Cheddar itself is world famous for its cheese, produced in the caves from the 12th century to the present day. Those interested in the making of this dairy delight should head to the Cheddar Cheese factory. You may not have heard of Shepton Mallet, but you will have heard of Mulberry, the designer brand that calls it home. Can’t afford the hefty price tag of Britain’s most desirable handbags? You’re in luck. Mulberry have an outlet store in Shepton Mallet. A must-visit when passing through Shepton Mallet is Kilver Court, which calls itself ‘the rural home of style.’ In addition to a shopping arcade of heavily discounted designer brands, Kilver Court boasts a beautiful three-and-a-half acre secret garden and cafe serving fresh local produce. Just a short distance away from Shepton Mallet is the Bath and West Showground. Home to the annual Bath and West Show (think livestock auctions, local traders and dog competitions), the show-ground also hosts music festivals and other events throughout the summer months. 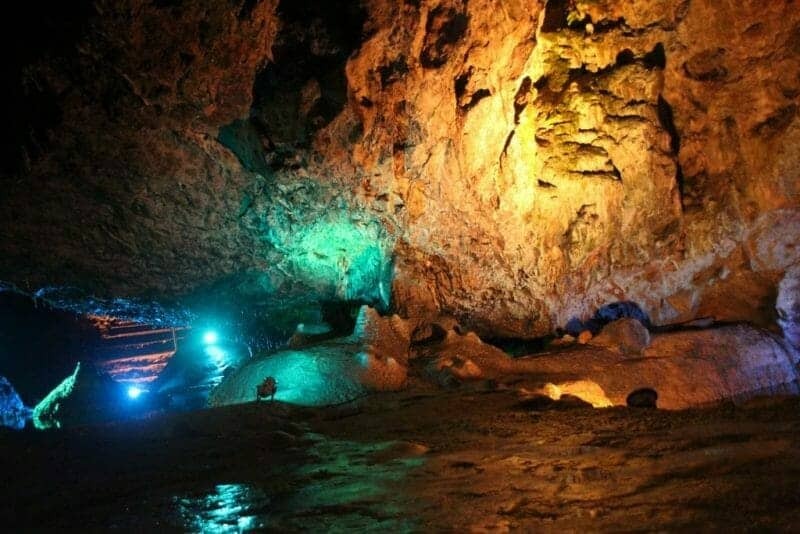 Wookey Hole is a village and visitor attraction in the heart of Somerset. It is a great place to visit with children, for the sheer number of activities that take place here. At Wookey Hole Caves you can explore subterranean Somerset, which offers a fascinating history of the area dating back to 500,000 BC. In addition to the unforgettable caves, Wookey Hole boasts a Victorian penny arcade, hand-made paper mill, mystic fairy garden and a magical mirror maze. With onsite accommodation to book, Wookey Hole is an ideal family attraction all year round. Just watch out for the witch! Porlock Weir was once a busy port, but is now a picturesque hamlet, perfect for for yachts and fishing boats. The Royal Crescent in Bath. One of the wonders of England. An area of wilderness and tranquillity. Panoramic views lead you through coast, heath and combe. Explore and you will find rocky Jurassic coastline, exposed heathland summits, deep wooded combes, undulating farmland and attractive villages all within this protected landscape. Explore the stunning hills and valleys of the Mendip Hills on foot, bike, or horse. 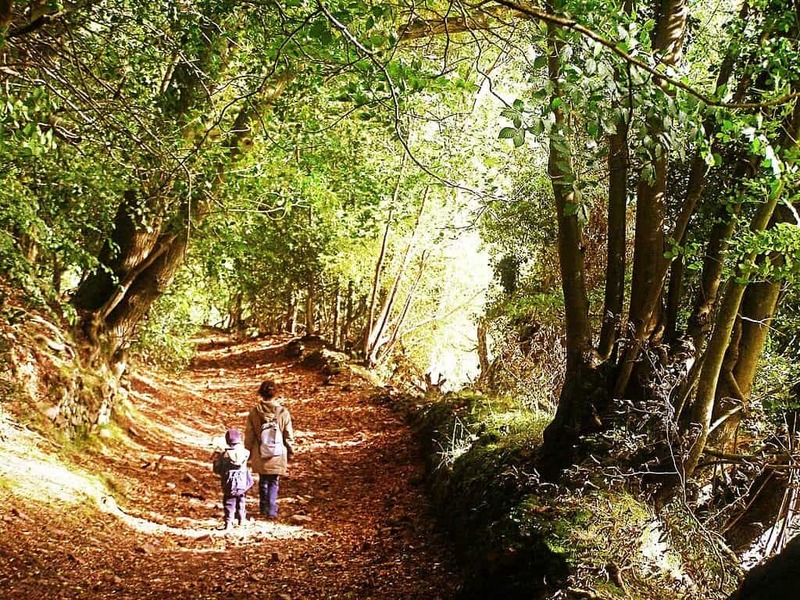 Designated as an Area of Outstanding Natural Beauty, it is made up of steep slopes and spectacular gorges, with wooded combes acting as the habitat for a plethora of wildlife. There are few places to relax and escape the pressures of modern life. Congratulations! You have just found one of them. Explore thousands of acres of open moors, lots of things to do on Exmoor, fun-filled days out in Devon and some of the west’s best beaches. Somerset’s county town. Travellers throughout the centuries have stopped and discovered this county town which reflects the rich countryside around it and the trades of the people within. Explore some of Somerset’s superb coast with a walk along part or all of the new 58-mile route that is the latest addition to the National Coast Path. Try the first of our Secret Seawalks today. A place of floral beauty, tranquillity and innovation – a gardeners’ garden paradise. 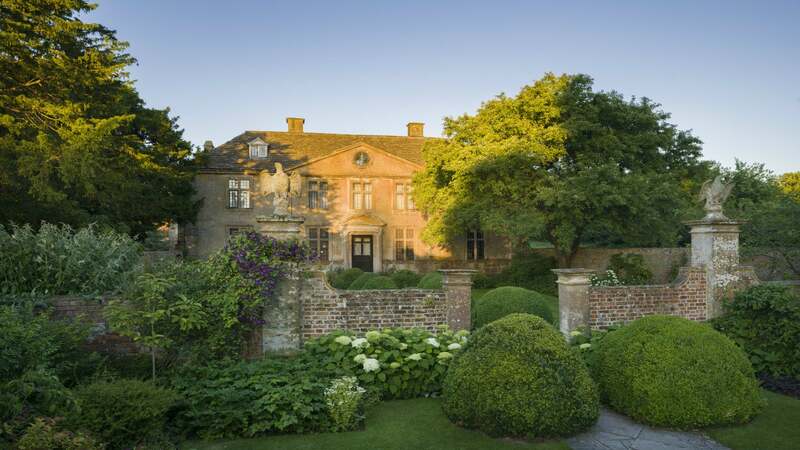 Explore this stunning stately home and discover its intriguing history. Enjoy a delightful walk in the beautiful Capability Brown landscaped grounds. 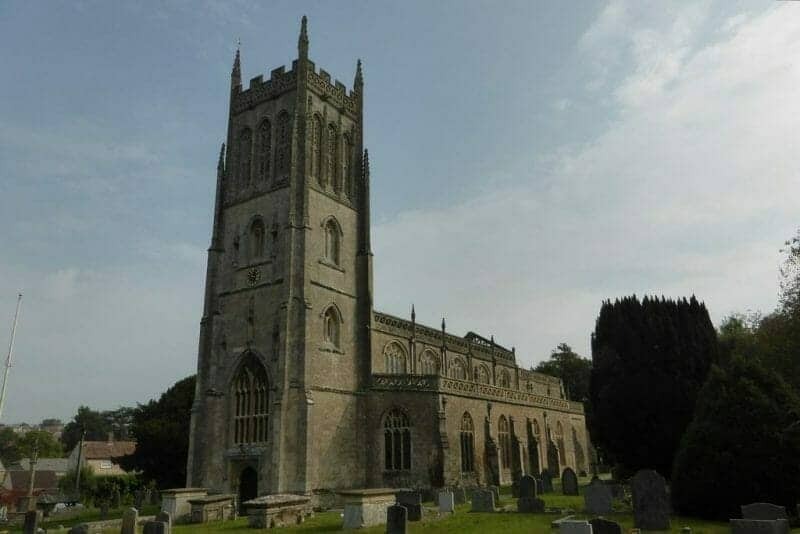 Somerset is a fantastic place to visit with lots to do and see. Whether you are a nature lover, a culture buff or a history fanatic, there really is something for everyone here. So, what are you waiting for? Get out, get exploring, and try not to eat too much cheese!